June 22, 2016 Vickrham m 0 Comments ALE, beerweek, brewery, bronx, DARK, downtown, fresh, LAGER, Manhattan, quaff. 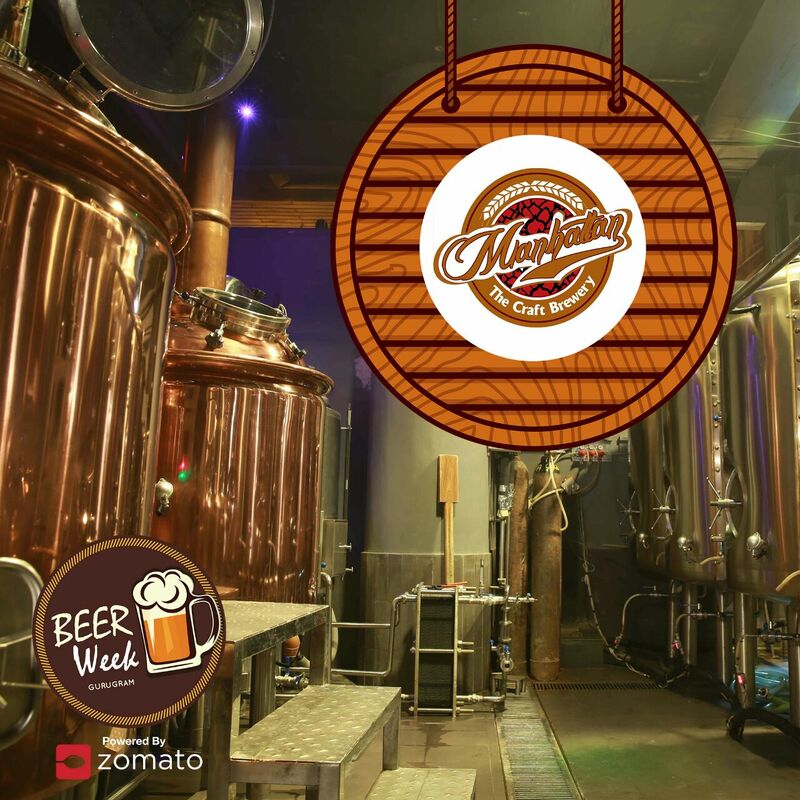 Beerweek in Gurgaon created a lot of buzz. Thanks to the rising craft beer culture in the vicinity and a slew of craft beer breweries coming up in Gurgaon. All these factors have contributed to the rise of craft beer culture in the city and all this made the Beerweek at Gurugram a success story. Held from 11th June to 18th June , 2016…… BEERWEEK is an event to remember forever. The BEER Festival touched 20 plus breweries which made beer lovers taste several beers, attend master classes and understand the nuances of beer tasting and process involved in making craft beers. 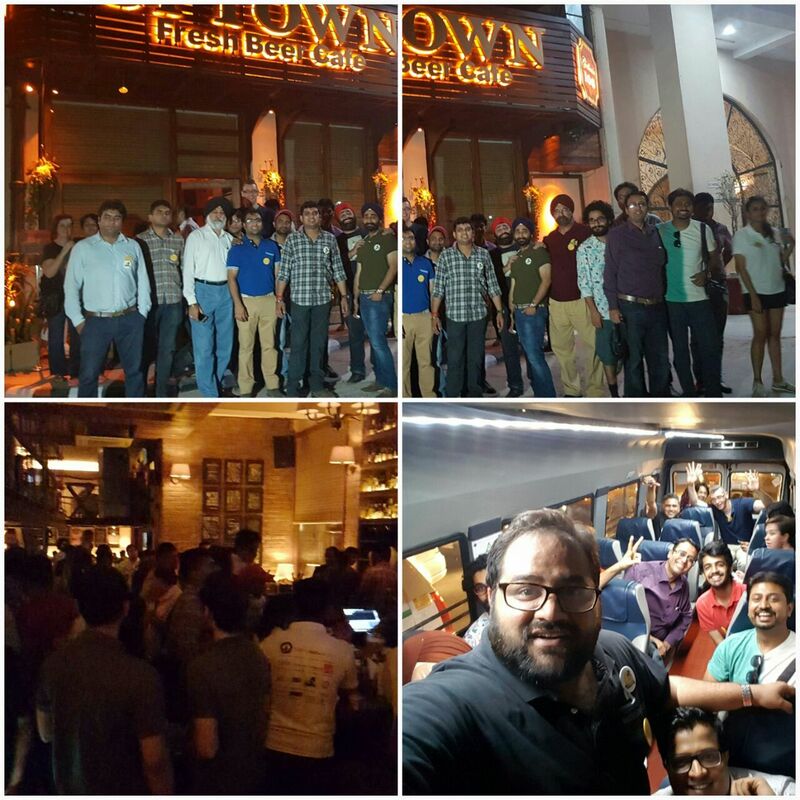 Also, the BeerWeek’s Beer Crawl happened twice which was an energizing exploration of Gurugram’s night life with vibrant fellow pub-trotters like never before where guests were able to mingle with the personalities behind the craft beers being served. After 2 successful editions of Cocktail Week in Delhi and Mumbai, AMM Hospitality embraced this synergy by bringing together some of Gurugram’s finest food and craft beer pairings, partnered by India Bartender’s Guild, My Sprinterz, What’s Hot, Elixir Coterie, Counted One, Insider.in, Dilsefoodie, Thirsty Monk, D for Delhi, Ola Prime, Goyano, Suburb Magazine, Exo Drinks, The Epic Pick by Vickrham (Vicky), Fortune Select Excalibur and RJ Brewing. The Beer Crawl which happened twice during this edition of the Beer Week was real fun. Bloggers, Media and guests crawled from one fine brewery to the other covering 4 to 6 of the most happening places in Gurgaon like breweries from the most famous Manhattan Group – BRONX, UPTOWN, MANHATTAN and others like 7 Degree Brauhaus, Lagom and Quaff. Everyone was excited to try BRONX as it was the latest entrant from the Manhattan Group which excels in quality and commitment. The best part is , everyone loved the different varieties of Beer at all these places especially MANHATTAN and BRONX. UPTOWN and QUAFF were another two places which mostly guests loved. The quality of Beer and flavors were amazing. The first thing that catches your fancy when you enter Manhattan, Brewery and Bar Exchange at Level 1 of the Global Foyer Mall on Golf Course Road, Gurgaon, is the huge copper brew house. Shining cylindrical vessels connected to each other through pipes, they remind you of a vintage Brewery of Germany, but what’s brewing inside them is beer – different flavours of it rather! Yes, it is one of the largest and finest microbreweries in the country! While you appreciate the aesthetic effect of ‘beer on tap’, the large format screens are sure to attract your attention next. But why have six of them all at one place? Well, four of them are for a very exciting concept – motion-based interactive gaming. Sip your beer and then fight it out…on the screens! The two really large ones in the center serve as an interactive backdrop to the stage during events. And if you happen to be a soccer and cricket aficionado who wishes to catch the action live 70mm style, then this place is sure to rock you. BRONX – Settled in the middle of the popular Sector 29 market, built over 4 levels the pub has a cellar like feel to its basement and a very cozy indoor with open verandah seating on the first floor. The top level is the terrace which, being a corner, has a very open feel with various seating options right from cabana couches to high tables. The street art at the terrace is already a talk of the town and adds to the open feel. At Bronx the alcohol menu is very elaborate with its star the brewed beer. It comes in 4 types, Wheat, Lager Dark & Ale. The food menu is very exciting with a whole lot of options of lip smacking starters and main course covering Indian, Chinese, Tex Mex, European, Italian, Mediterranean and American Cuisine. 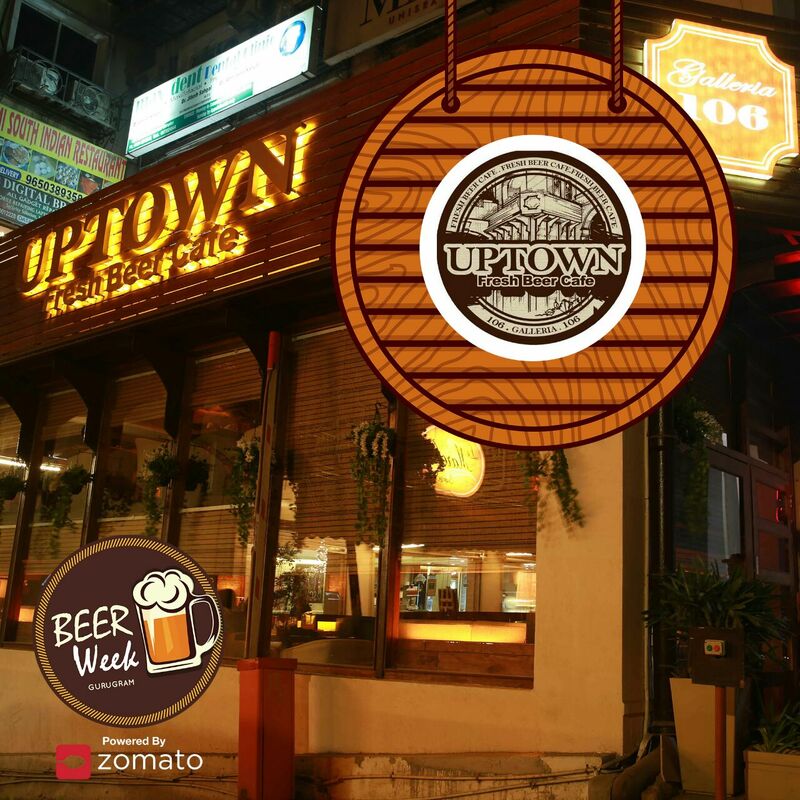 UPTOWN – Situated in the midst of Galleria Market, DLF Phase IV, Dressed up in its warm and cozy ambience they serve you the best of international dishes to make for a memorable dining experience. A menu with European, Italian, Mexican, Oriental and North Indian food, the most interesting aspect is their microbrewery which serves three different variants of fresh beer (Premium Lager, Dark Lager and German Wheat Lager) apart from a long list of spirits, wine, cocktail and mocktails. LAGOM – An ideal place to unwind and unravel, LAGOM gets its inspiration from a Swedish word, which means just the right amount of everything. So if we talk about the restaurant, it displays the perfect balance of delightful food, brewed beer and cocktails churned out from their bar. Lagom exudes warm & earthy colors, lively sounds and a very distinct ambience, which adds to the raw yet modern feel of the restaurant concept. QUAFF – Quaff is an upscale brewpub, located in DLF cyber hub Gurgaon. Already famous for its finest brews, Quaff is the only place in Gurgaon which focuses on making some real craft beer. For the first time these guys introduced TRUE IPA and DUNKELWEIZEN. Ishan Grover , a celebrity Brewmaster with other people from the industry made this event a real happening one. Currently, Ishan manages a vast portfolio of over clients, including the Manhattan Group that operates 6 brewpubs in Gurgaon. He is consistently on a look out for a platform where he has the freedom of innovation and creativity to set trends in the beer market.